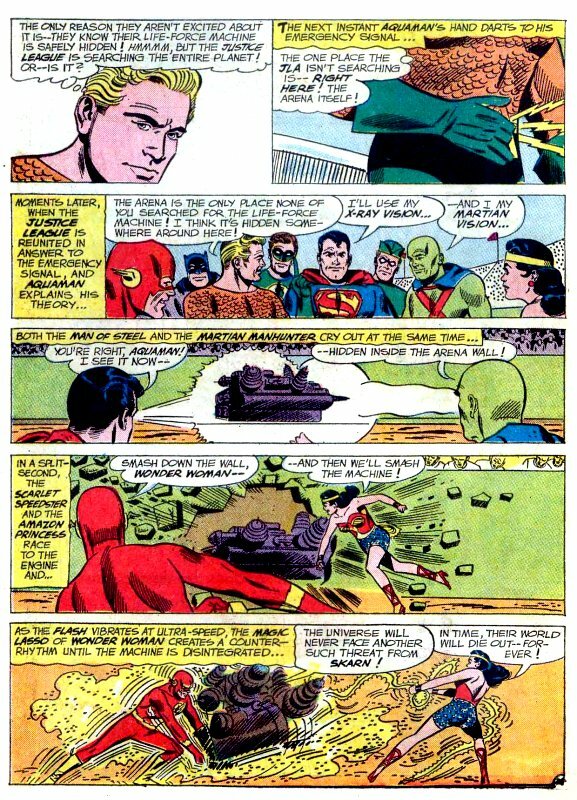 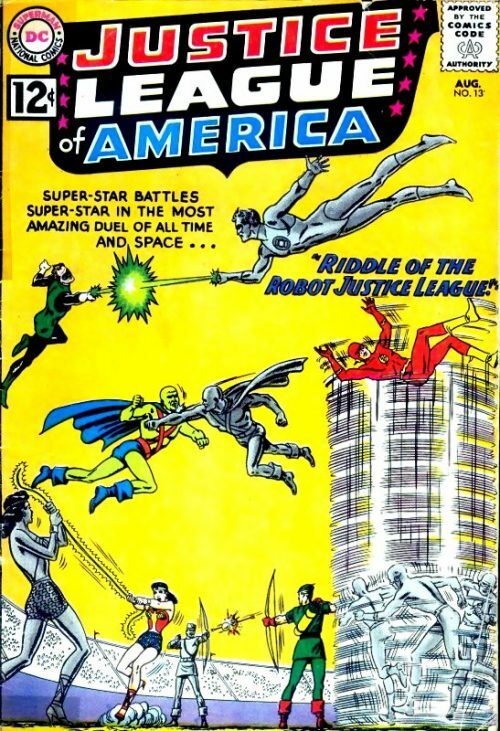 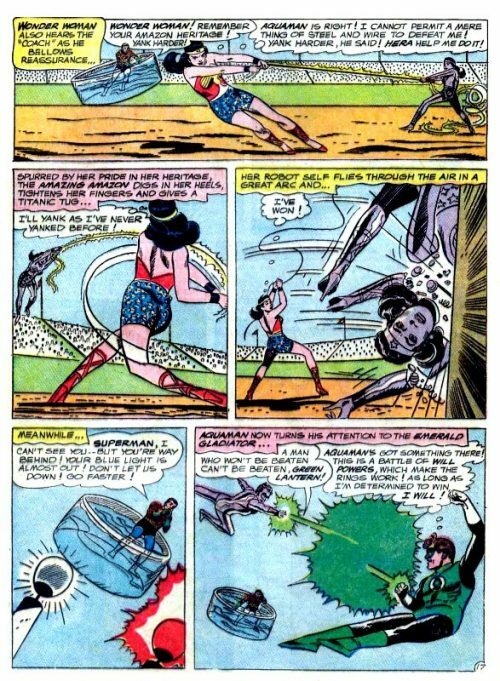 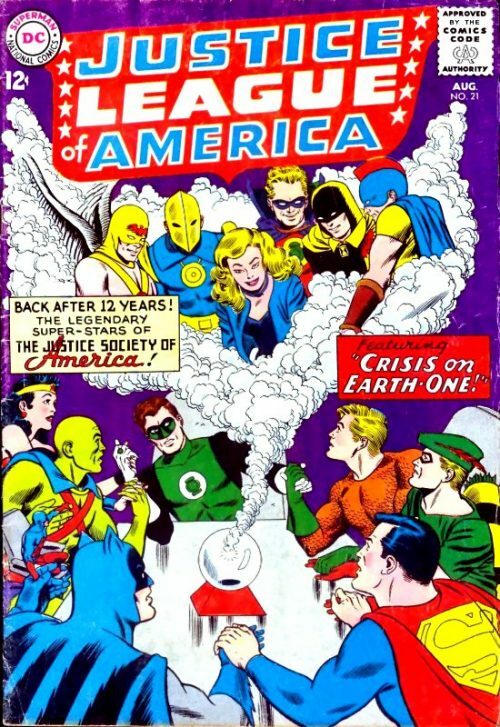 The Riddle of the Robot Justice League! 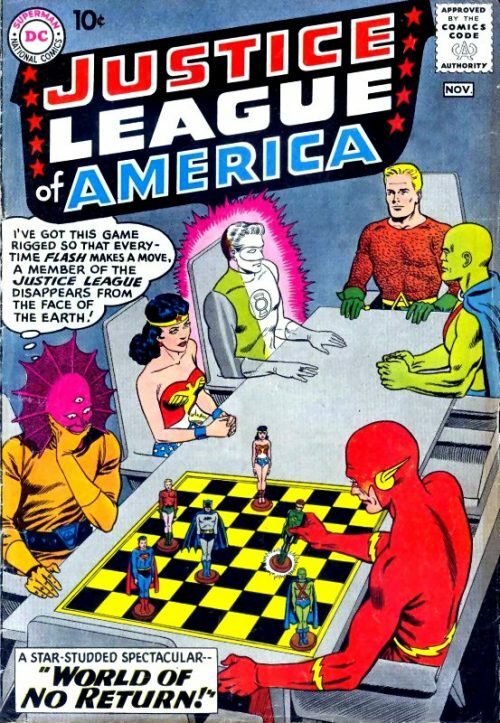 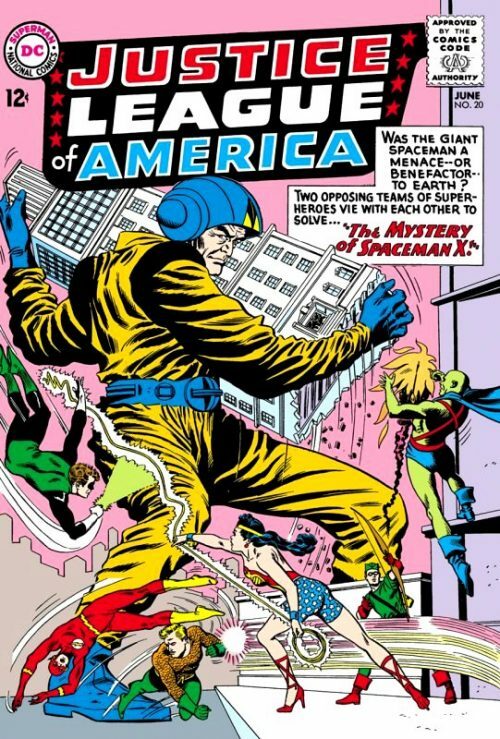 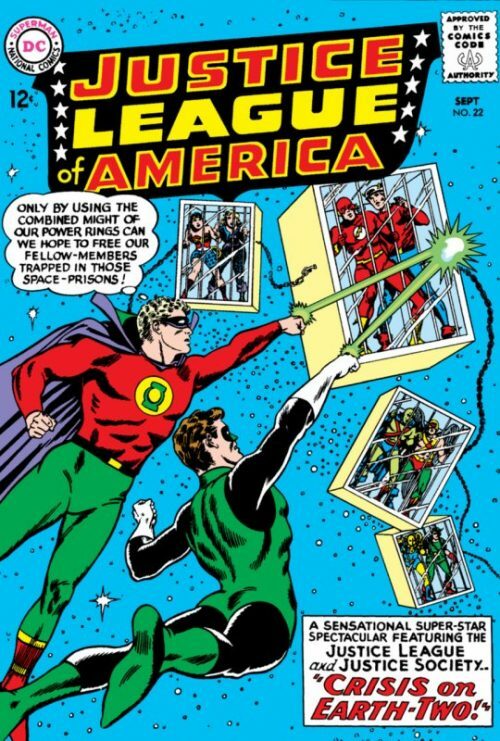 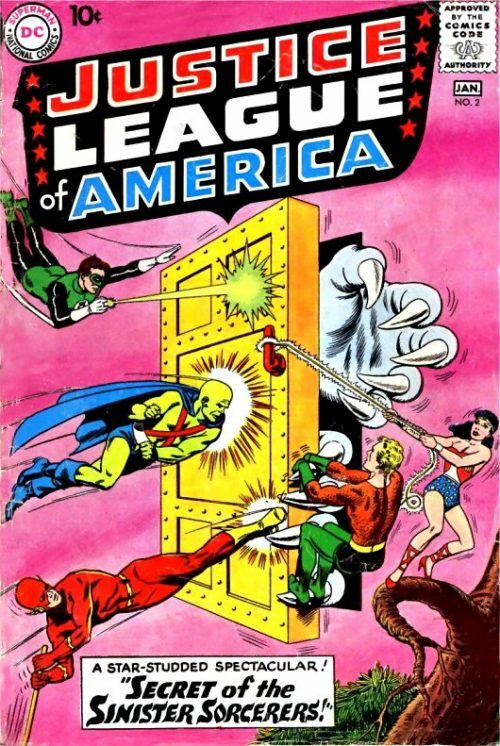 Sforll transports the Justice League to his lair to enlist them in preventing Zed Brann from stealing the life force (“vita-matter”) of our universe for his own. They must fight robot duplicates of themselves to save the universe.